Like it or not, we’ve entered an era of marketing absolutely dominated by video ads. And guess what? It’s been a long time coming. For years, the video has been heralded as the future of content marketing; however, it’s rather clear that this once-speculated future has indeed arrived. 1. Make the first seconds count. Instagram users quickly scroll through their feeds, so brands need to make video ads that compel users to stop. Per Natasha Courtenay-Smith, CEO of digital marketing firm Bolt Digital, this means incorporating movement in the first three seconds. 2. Think about thumbnails early on. 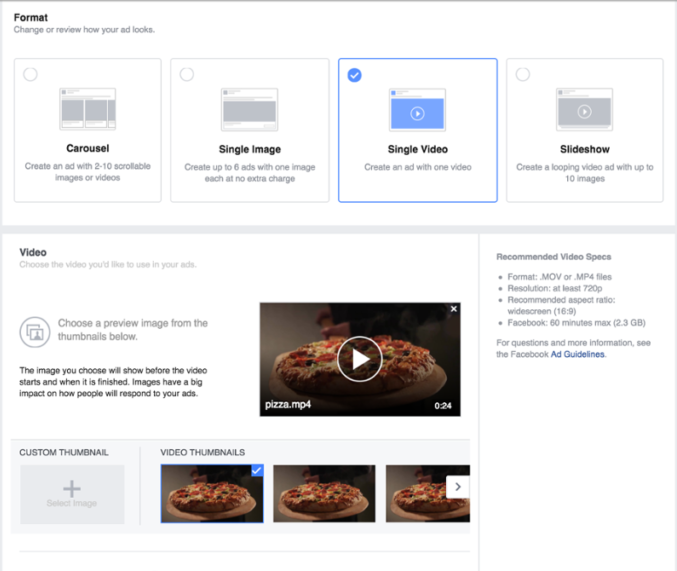 Elizabeth Venanzi, online marketing manager at marketing agency Sparq Designs, noted another difference with platforms like Facebook or YouTube, where advertisers can customize thumbnails. With Instagram ads, brands have to use thumbnails from videos. This ad format is utilized less than the CPC campaigns, but it’s a marketing goldmine. Lead ads allow users to share their contact info right on Facebook, which results in more subscribers than driving them to an external landing page. You can then use the information you collect through lead ads to create new custom and lookalike audiences and tweak your spend based on where those prospects fall in the funnel. To create your first lead ad, sign into your Facebook account’s Business Manager. In the Power Editor, click on “+Campaign” in the top left corner, select “Collect leads for your business,” and choose your targeting parameters, desired audience, budget, placements, and schedule. At the prompt, opt to create a new lead form.